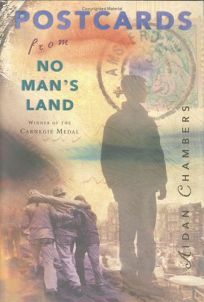 Sophisticated teenage readers yearning for a wider view of life may find themselves intoxicated by this Carnegie Medal–winning novel from Chambers (The Toll Bridge; Dance on My Grave), recent recipient of the Hans Christian Andersen Author Award. Jam-packed with ideas and filled with passionate characters, the story is made up of two narratives, one set in the mid-1990s and the other in 1944. The inevitable but surprising ways in which these two tales connect form the novel's backbone. Bookish, intense and self-conscious, Jacob Todd, 17, has left his English home to spend a few days in the Netherlands paying homage to the soldier grandfather he never knew, and visiting Geertrui, the Dutch woman who took care of his grandfather after he was wounded in battle. Shortly after meeting a beguiling stranger, a mugging leaves Jacob stranded in Amsterdam, forcing him into the initially awkward role of houseguest to Geertrui's forceful and freethinking grandson, Daan. The second story, set in occupied Holland at the time of the battle to liberate Oosterbeck, and narrated by Geertrui, chronicles her long-ago relationship with Jacob's grandfather. As each narrative unwinds, parallels and differences between the two eras emerge.